Pages: pp. x + 217, Figures, Tables, Index, Biblio. The Title "Bio-Demographic Study of Kashmiris 1st Edition" is written by Kanan K. Sadhu. This book was published in the year 2009. 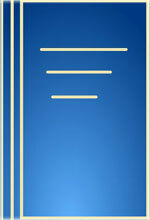 The ISBN number 8121200725|9788121200721 is assigned to the Hardback version of this title. The book displayed here is a 1st Edition edition. This book has total of pp. x + 217 (Pages). The publisher of this title is Gyan Publishing House. We have about 1204 other great books from this publisher. Bio-Demographic Study of Kashmiris 1st Edition is currently Available with us.